Viktoras Palys, M.D. examines his patient Tori Hatcher weeks after she receives a surgical implant to reduce seizures. 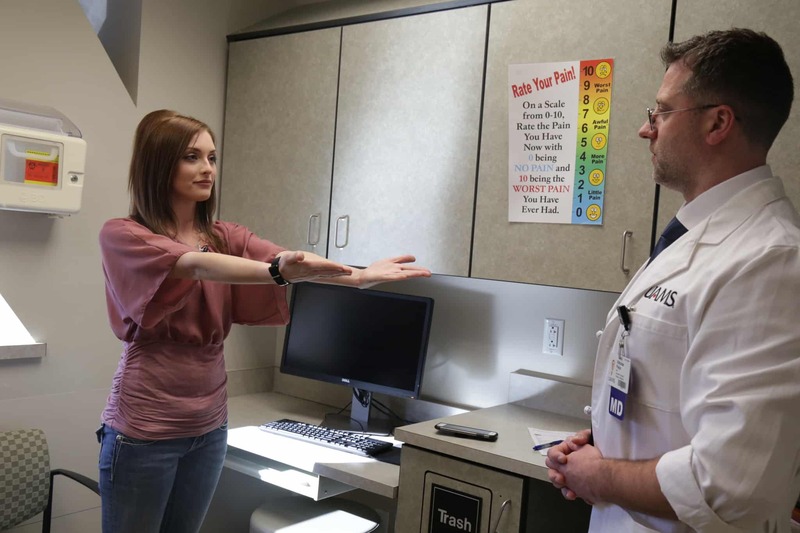 Feb. 11, 2019 | Feb. 11, 2019 |Tori Hatcher used to wake up many mornings in intense pain due to epileptic seizures. They often happened as she slept. Hatcher has had seizures regularly since she was 11 years old. She’s 24 now and says it was her fourth neurologist who suggested an implant that could alleviate her seizures. 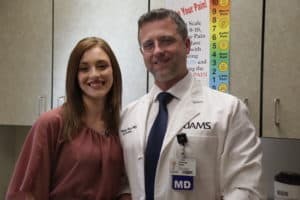 She referred her to UAMS to see Viktoras Palys, M.D. who specializes in neurosurgical treatment for epilepsy. Palys says the device works like a pacemaker for the brain. It prevents or reduces seizures by sending mild pulses of electricity to the brain through the vagus nerve in the neck. Tori Hatcher uses this device to manually activate the implant if she has a seizure. Palys implanted the VNS device in July. Hatcher has gone from having multiple seizures a day to only one since the surgery. 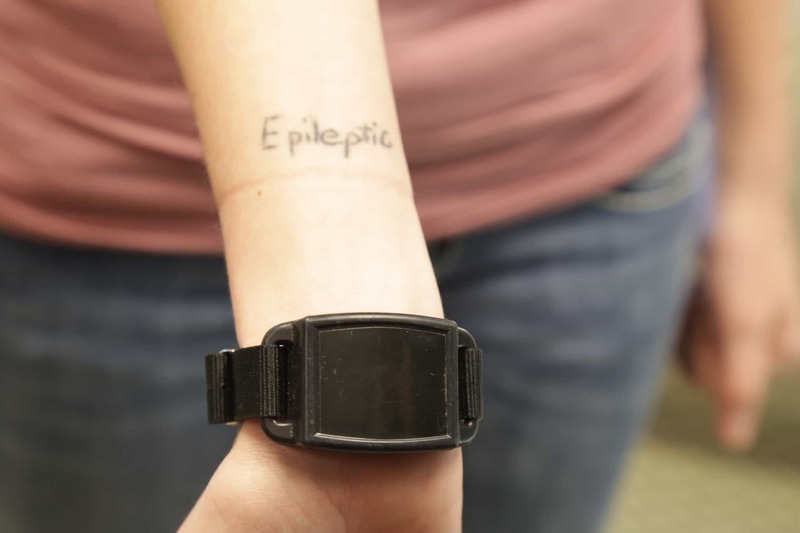 She wears an accompanying device around her wrist in the event that she does have a seizure. It’s a magnet that looks like a smart watch. Hatcher says she occasionally holds the watch to her chest, giving an extra dose of stimulation through the vagus nerve to her brain. Hatchers says she can hardly believe the change she’s already experienced. Hatcher says she’s feeling like her normal self and hopes to soon be able to drive and get a job.